The series centers on 17-year-old Joshua "J" Cody, who moves in with his freewheeling relatives in their Southern California beach town after his mother dies of a heroin overdose. First aired June 7th, 2016. 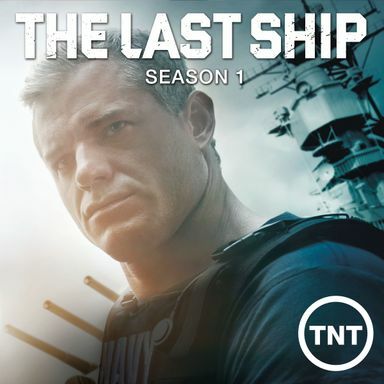 The Last Ship is an action-packed drama series, based on the popular novel by William Brinkley. In the series, a global virus pandemic nearly obliterates the earth's population, forcing the crew of a naval destroyer to confront the reality of their new existence in a dangerous new world where they are among the only survivors. First aired June 22nd, 2014. First aired November 15th, 2016. Set seven years after the world has become a frozen wasteland, the remnants of humanity inhabit a gigantic, perpetually-moving train that circles the globe. Class warfare, social injustice and the politics of survival are questioned in this riveting series. TNT's new unscripted procedural drama follows two top-notch female investigators as they dig into small town murder cases that have lingered for years without answers or closure. Kelly Siegler, a Texas prosecutor for 21 years who has successfully tried 68 murder cases, and Yolanda McClary, a crime scene investigator who worked more than 7,000 cases in her 26 years in the Las Vegas Police Department, are putting their vast knowledge and experience to work helping local law-enforcement officers and families of violent-crime victims get to the truth. With a fresh set of eyes on old evidence, superior interrogation skills and access to advanced DNA technology and lab testing, Siegler and McClary are determined to bring about a legal and emotional resolution. Taking on a different unsolved crime each week, they will carefully re-examine evidence, question suspects and witnesses, and chase down leads in order to solve cases that would have otherwise remained cold indefinitely. First aired September 3rd, 2013.